Deft songwriting with a perfect indie pop voice make Strawberry Runners a can't miss proposition for us here at WYMA. The debut EP, In the Garden, In the Night, provides a five-song proof, but most music fans won't need that much to conclude that there is prodigious talent on offer. We fully expect to see this EP on year-end lists of records that many people missed. Of course, because you read WYMA, you haven't missed it. The band is the musical alter ego of Emi Night, a young women who spins stories about the good and bad of growing up, and confidently delivers them in capsules of rich melody. She has been making music for a number of years, but this is her first record. Our conclusion is that this is wonder, and wholly addictive, pop music. It is our loss that she waited this long. We keep our promises here, and we promised UK's Johnny Kills that we would feature their next single after posting the third of their summer trio of singles (Link to End Game here). Now, some readers may wonder whether it was a cynical promise after assuming that Tim Lloyd-Kinnings (guitar/vocals), Lewis Lloyd-Kinnings (bass/keys/vocals), and Cameron Gipp (guitar/vocals) probably would have fled the country by now, one step of their girlfriends' angry, shotgun-carrying fathers. But we assure you that our promise was entirely based on our respect for their music. So here is the muscular, crunchy, totally rocking "Not So Bad". And to each of the guys, if her dad caught you, we congratulate you on the upcoming nuptials. Bandcamp for "Not So Bad"
As all of us know, shoegaze is characterized by a dense and enveloping sound. It is the genre's defining element and the critical draw for fans. But the best shoegaze is created by artists who understand that the dense soundscapes serve best as a foundation for the other details. 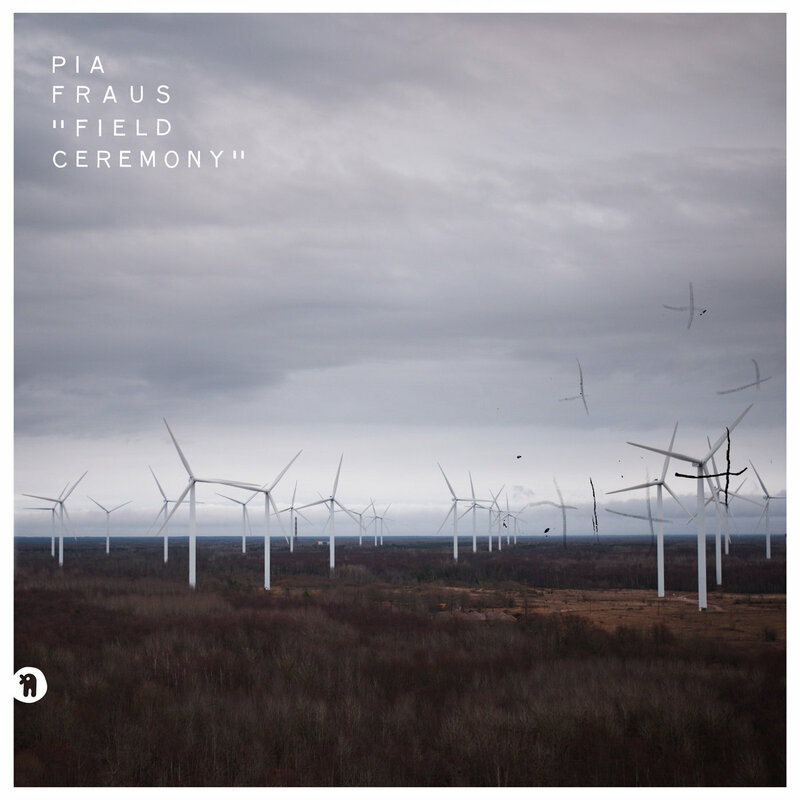 And this brings us the the Field Ceremony, the delightful new album by Estonia's Pia Fraus. Listen to album opener "It's Over Now" and appreciate the lower register rhythm riff capturing the listener. 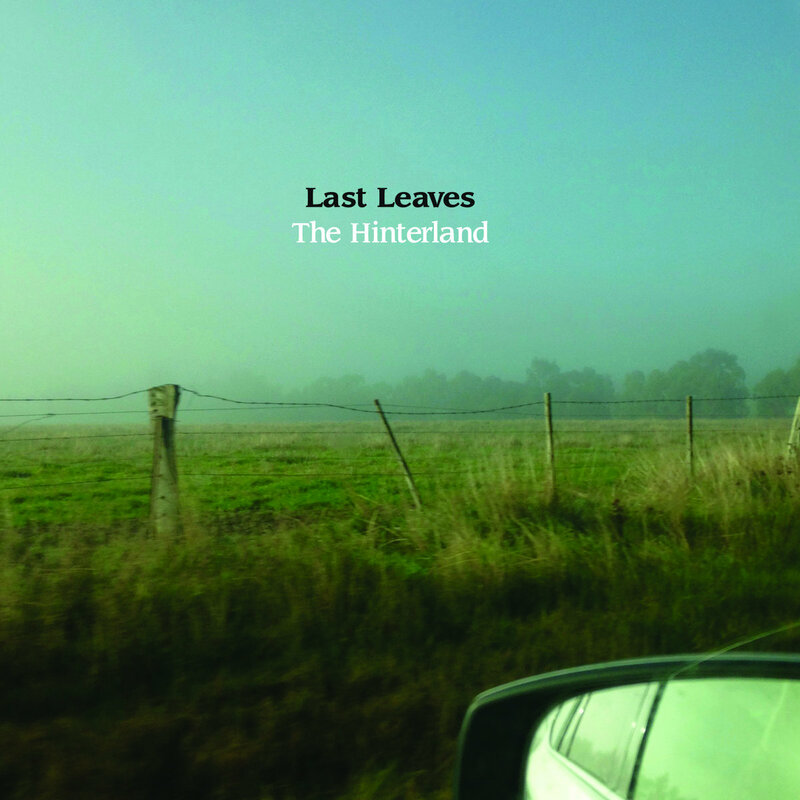 Or to the indie pop vocals dancing over the sonic tapestry in the following "Never Again Land" and "Autumn Winds". Nor does the band shy away from more pop arrangements, such as on "No Filter Needed". In fact, while the band displays their sheer power frequently on this album, the overall effect to our ears was more dreampop than what we commonly regard as shoegaze. From the adept balance of light and dark elements in the songwriting, to the thoughtful production, to the clear emotion in the performances, Field Ceremony is a work of art to celebrate. And of course, to listen to over and over. Pia Fraus is Rein Fuks (guitar/vocals/percussion), Eve Komp (vocals/synths/metallophone), Kart Ojavee (synths), Reijo Tagapere (bass), and Margus Voolpriit (drums). Field Ceremony is out now via Shelflife (U.S.), Seksound (Eur), and Vinyl-Junkie Records (Japan). What? You ask, what is this "Ciggie Witch" thing of which you speak. Fair question, I guess. Ciggie Witch is a Zac Denton/Mitch Clemens project expanded to become a six-member music collective comprised of members of Ocean Party, Totally Mild, Pregnancy, Zone Out, and other bands. They have just released Mad Music, their third album, and it is shooting up our list of recommended albums with each play. Mad Music ably presents the duality of the Melbourne band's art. The arrangements often feature chiming and jangling guitars, lush synths, and overall pop smarts, while the lyrics often are anxious, jittery and idiosyncratic. In the hands of Ciggie Witch, it is a winning combination, and we wouldn't want them to change a thing. Take a spin on Bandcamp, and welcome to the world of Ciggie Witch. Mad Music is out now as a limited edition cassette and as a digital download via Lost and Lonesome Records. 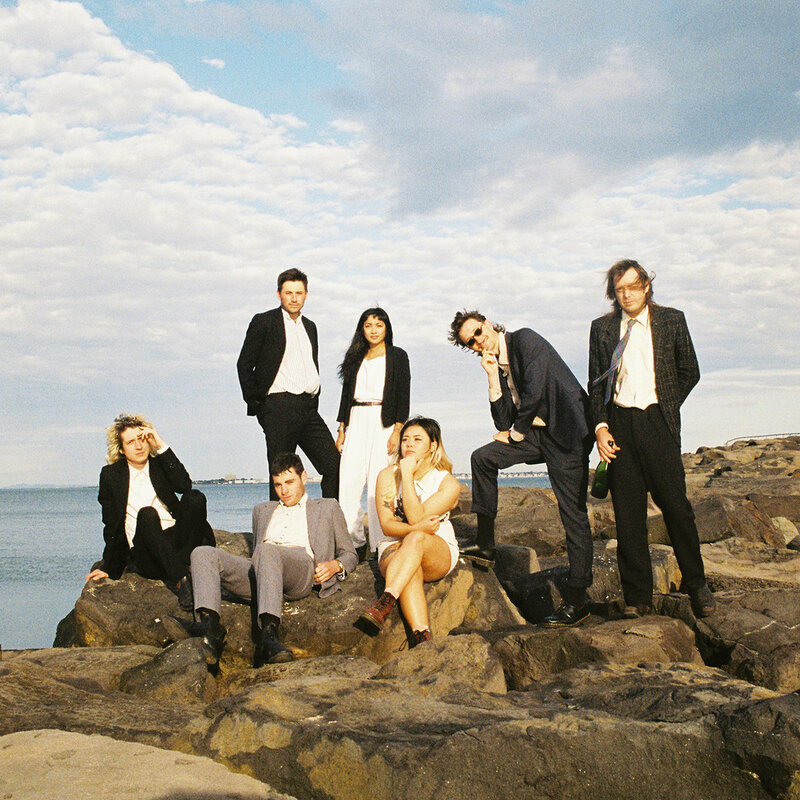 Ciggie Witch is Ahley Bundang, Mitch Clemens, Lachlan Denton, Zac Denton, Liam Halliwell, Lauren Huynh, and Joe Foley. Is soulful psychedelic garage rock a thing? Why yes, yes it is. And you can enjoy 10 songs of soulful psychedelic garage rock (and a humorous non-musical intro) on Babies, the new LP from Acid Tongue. With hazy intensity and retro psych/garage flourishes, it prods the listener's mind with echoes of the '60s and '70s. But it does so only to the extent that is reminds us how much we miss a good rock song in the era of overly processed pop. The themes are modern day life and timeless explorations of the reality of growing up wreaking havoc with hopes and dreams, and the salvation to be found in relationships. And there is enough soul in the vocal performance to keep the proceedings a big couple of steps removed from a stoner throwback party, and to bring plenty of smiles to our faces. When we think of rock, Acid Tongue's music is just the thing we have in mind. Listen to "Humpty Dumpty" and "If I Really Loved Her" below and see if you don't agree. And we assure you that several other songs on the album are equally worthy of singles treatment. Pounce on this one, folks. Babies is the work of Acid Tongue frontman Guy Keltner (vocals/lead guitar/bass/acoustic guitar) and Ian Cuningham (drums/production), with Daniel O'Neil (drums/percussion), Jacob Rose (bass), Jason Cairati (keys), James Squires (drums/piano/bass), Maiah Manser (backing vocals), and Thomas Fredrickson (bass). The band is touring in Europe now, but will return to the states and tour in November. This is the sort of song that doesn't deserve a lot of words, because it doesn't need a lot of words. Just press play and listen to almost six minutes of pop perfection from France's Skittle Alley. Skittle Alley is Fanou, Guillaume, Pierre and Stephane, and they are from Limoges.